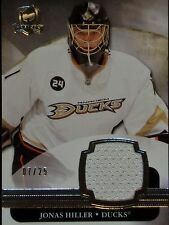 2011-12 PANINI TITANIUM GAME WORN GEAR PATCH #66 JONAS HILLER /25 GORGEOUS !! #66 JONAS HILLER. 2011-12 PANINI TITANIUM. GORGEOUS 4 COLOR SWATCH! The scan is of the actual card you will receive and not a file photo. 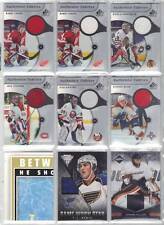 2011-12 UPPER DECK "THE CUP" - JONAS HILLER GAME USED JERSEY #7/25!!! JONAS HILLER. UPPER DECK. LIMITED JERSEY CARD. 2011-12 TITANIUM GAME WORN GEAR AUTOGRAPHS #66 JONAS HILLER #56/75!